We provide manufacturing services for feature phones/mobile phones/keypad phones. 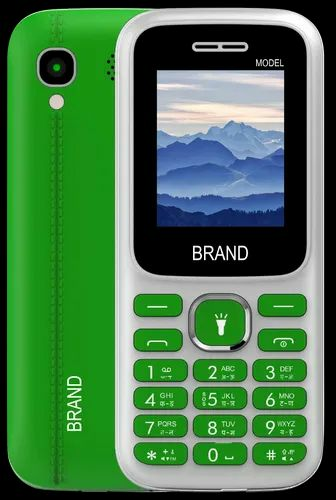 We can provide cost-effective mobile phones with customizable specifications in your brand. Cost will vary depending on the quality of components used within the device. Creatons Corporation Private Limited has been top tiered in this market of manufacturing and wholesaling high quality products specializing in research & development, manufacturing and sales of intelligent terminal products such as Multimedia Smartphone, Tablet PC, Phone Charger, Feature Phone, Batteries, Charger and USB Cables and other Accessories. Creatons' product line has been designed and manufactured keeping the specification and quality in accordance with International standards. We trust in putting our buyer first and accordingly, while settling on future guide for the organization we have constantly included ‘complete consumer loyalty’ as our essential target. We are being known as having a 1st class modern factory in Delhi NCR producing Mobile Phones, Smartphones, Tablet PCs, Chargers, Batteries and Mobile Accessories with custom specifications. We also offer Electronics Manufacturing Services as per client requirements - Creatons designs, tests, manufactures and distributes electronic components to a wide range of clientele. As an EMS provider, we are compliant with strict guidelines and rigorous quality standards and deliver goods that are tested and error-free. 1. Client sources the raw materials themselves and we do the job work for them. 2. Creatons is in charge of end to end services. Clients share their requirements. Creatons tries to get the best quotes for raw materials, including packaging and accessories. Client is shared all the details. Once it is approved, we go ahead and manufacture and deliver the end units. Currently we are of producing 50,000 pieces monthly & the production capacity can reach up to 2, 00, 000 pieces per month and we have proven our ability in handling OEM and ODM projects for different kind of products. All component used for manufacturing products are 'Eco-friendly' as per ROHS norms. Every brand manufactured by our company goes through a series of checks in order to find its authenticity, reliability and trustworthiness. We ensure to help the customer looking for the best in products like Mobile Phones, Smartphones, Tablet PCs, Chargers, Batteries and Mobile Accessories. Client satisfaction is of utmost importance to us. We strive to meet all the client requirements to the best of our abilities and don't hesitate to go the extra mile to keep our client relationship strong. We are honored to introduce our offerings and want to assure you that we are the best in the market. Creatons is a pioneer that will help you chose only the best value products. The company has received a lot of compliments and appreciations for this effort and innovative idea from its customer’s.